When we think of music we don’t often think of it as therapy. But it can be. People train as music therapists to work with both adults and special needs children. It can treat things like the ability to take in information and learn, co-ordination and motor skills, the ability to communicate better and also developing the emotions. The sessions between the therapist and the child can be anywhere from daily to weekly. The therapist uses music, whether it’s an instrument, signing, dancing, or anything to encourage and teach the child. It can be done with either groups or individual children, if staff and time allow (working with individuals often achieves the best results, for obvious reasons). The children are very active participants, and the therapist needs to be very alert and energetic, since a lot of dancing and singing can make for a very physical session. Although professional therapists are degreed and well-trained, some of what they do can be carried out by parents at home to reinforce the learning. The sessions should be structured, with planned goals for each of the students, to be achieved in small, incremental stages. These goals should always be realistic and set after proper evaluation. There’s no restriction of how music can be used, but whatever happens, repetition is very important. The child needs to learn at his own pace, but things must be repeated and repeated until they’re imprinted on his brain. Language should be simple, at the level the child can easily understand. The therapist should use a variety of techniques, from singing with the child, songs about actions and behaviours, to dancing and playing instruments, always with actions to make them easier to remember. The actions should be easy enough for the child to follow and mimic. The therapist can allow the child to play instruments (it doesn’t matter that they can’t really play) along with the music. Rhythm and rhyme are as important as repetition for learning – remember the fact that the songs you most probably recall from childhood are nursery rhymes. Children can sometimes find it easier to express themselves in music rather than in words (the two use different parts of the brain). Rhythm can be a vital tool in working with children who have motor skill problems, since repetition of activities to rhythm can help progress. This can be important not only for special needs children, but also in many kinds of physical rehabilitation. Results don’t happen overnight. It can take months of work to achieve any major progress. 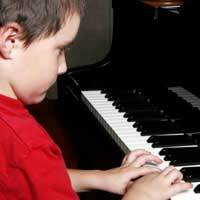 But in many cases there is a huge advance among children who undergo music therapy. The point is that the therapy works into other areas of life and improves the condition of the child’s life and ability to learn. Think of it as a ripple effect working outwards. The positive effect of music therapy can be huge; it can literally change a life. Music therapists do some wonderful work, often difficult work that takes dedication. But if you ever see a child respond to their labours, you’ll understand its importance. It's important to find the right music therapist for your child. They really do vary and you need one who can connect with your child if the therapy is going to be effective: in fact, making this choice is probably as important as the therapy itself. Take your time over it and visit several with your child to see how they interact and connect, and consult your child on which ones he or she liked. for the long term, this is vital.